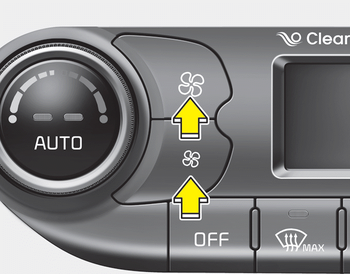 The fan speed can be set to the desired speed by pressing the fan speed control button. To change the fan speed, press the upper button ( ) for higher speed, or press the lower button ( ) for lower speed. Pressing the OFF button turns off the fan.